Rock My Vintage Blog: What Walls Want! 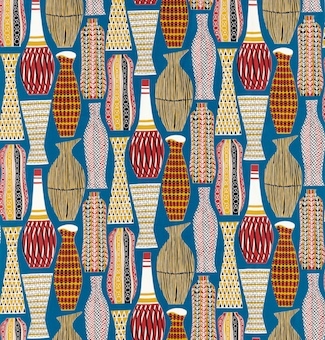 Bring a touch of vintage to your home too with Sanderson's new collection of 1950s prints. 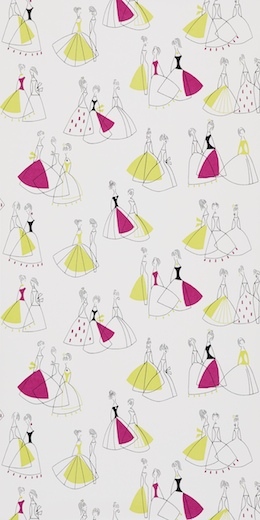 The range combines original 1950s designs from the Sanderson archive which were recently showcased at the Fashion and Textiles Museum. These amazingly retro prints have been reworked by contemporary artists who have taken inspiration from the era. The design house has been manufacturing for 150 years so they have a lot of beautiful graphics to choose from! The result is fabulously bold and almost instantly iconic. The sublime Fifi wallpaper print which was actually discovered in a customer's loft where it had been hidden away for the last 50 years. Now that is a serious find! The design depicts the typical hourglass silhouette often described as 'The New Look', a trend pioneered in 1947 by none other than Christian Dior, one of the most iconic fashion designers. Ladies, DIY just got seriously fashionable so tool belts out!